The decision to parole O.J. Simpson will rankle some, but it was correct and just. As expected, O.J. Simpson was granted parole today in Nevada, after serving nearly nine years of a 33-year sentence at the Lovelock Correctional Center. Barring any infractions over the next three months, he will be released in October. The parole hearing, simulcast on all the cable networks and ESPN, was nothing pretty, neither cinematic nor illustrative. 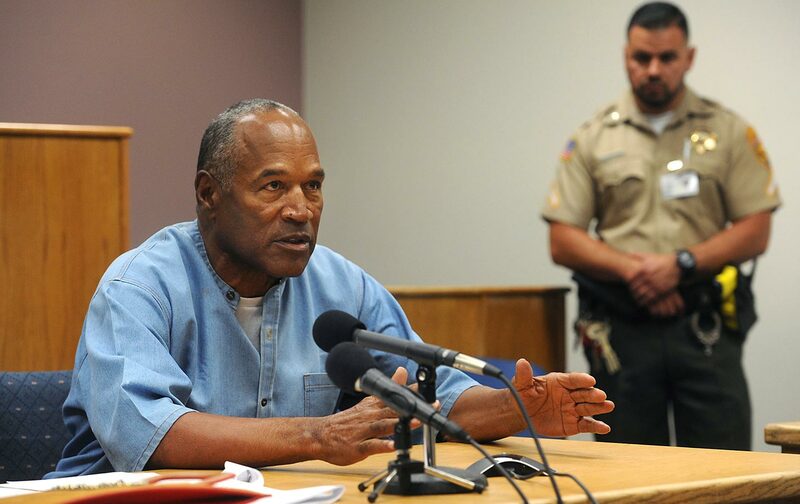 Simpson made roundly mocked and altogether clueless statements, such as “I’ve led a conflict-free life” and “Nobody has ever accused me of pulling a weapon on anybody,” as if he was never involved in the murder trial of the century or had an acknowledged past as a domestic abuser. Yet this wasn’t a parole hearing that had anything to do with the murders of his ex-wife, Nicole Brown Simpson, and her friend Ronald Goldman, and this is why the decision of the parole board, as much as it may rankle some, was correct and just. Simpson has been in prison on charges of stealing his own merchandise, while someone with him pulled a gun. The person whom he robbed, a friend of Simpson’s, testified at the parole hearing that he would drive him home from prison. What is still stunning, however, is that original sentence, officially for “kidnapping and armed robbery”: 33 years. Simpson received this 33-year sentence at age 61—basically a life sentence, 13 years to the day after Simpson received the “not guilty” verdict for the murders of Brown Simpson and Goldman. That number, 33, is a frightening reminder of the reach of the US justice system. It was a $33.5 million wrongful-death judgment that was handed to Simpson in California Civil Court for the 1994 murders. It was $33.5 million that O.J. said he had no ability—or intention—to pay as he left California for Florida, basically thumbing his nose at the decision. This is a garbage statement. But it speaks to why we need to be vigilant in our criticisms of the nation’s sprawling prison system, especially in a Trump era, where Jeff Sessions—if he is still attorney general by the time this publishes—aims to revive and nationalize every discredited tough-on-crime, war-on-drugs, private prison, New Jim Crow provision from the past 40 years. The O.J. Simpson drama has been many things to many people, but its longest lasting—and furthest reaching—effect has been the valorization of our system of highly racialized mass incarceration. When the US justice system is allowed to demonize, it’s not only demons who are caught in its web. The parole board decision was a reminder that in the Trump/Sessions era, we don’t have to be governed by mindless vengeance. I don’t care what O.J. does next and am not particularly interested in finding out. But I do know that “payback sentences” should be fought because it won’t be the O.J.s, with all of their reach, fame and money, who will pay the price.